The Christian Faith is not built upon cunningly devised fables. It does not rest upon the visions of one or two founders (such as the faith of Mormons, Jehovah’s Witnesses, Seventh-day Adventists or Islam). The Christian Faith, unlike other religions, is a religion based on historical fact – witnessed by not only a privileged few but by 12 apostles, numerous prophets and hundreds and even thousands of eyewitnesses. 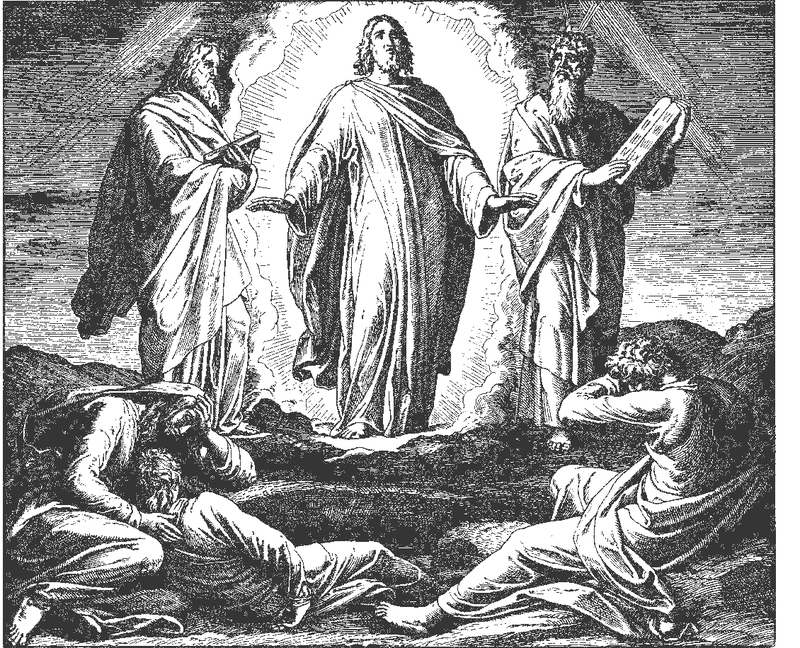 If people had doubts about the resurrection of Jesus, there were ample numbers who had witnessed Jesus’ death and had seen Him alive again after His resurrection. They didn’t have to take the word of one or two witnesses. The events surrounding Jesus’ life, death and resurrection were witnessed by so many they were undisputed. If you notice in the Gospel accounts, Jesus’ enemies didn’t dispute the things He had done; they disputed by what power He had done them. As Christians, we have the testimony of Scriptures, written over a period of about 1,600 years by approximately 33 different authors – though, in fact, it has only one author, and that is God, who moved these men to write and put into their hearts and minds the words which they wrote so that all of Scripture is God’s own inspired or God-breathed Word (cf. 2 Tim. 3:15-17). Notice that the Bible does not teach that the writers of Scripture were inspired – though God indeed did move them to write – it says, “All scripture is given by inspiration of God” (2 Tim. 3:16). The Scriptures themselves are God-breathed and inspired. Though recorded by so many different men and over such a lengthy period of time, the Scriptures agree completely and throughout. There are no unexplainable discrepancies. The message is the same from beginning to end: Man has sinned and fallen short, but God provided redemption in His Son. And so, our faith rests upon solid truth – upon the witness of so many eyewitnesses who were so convinced of the truth they gave their lives for it, and upon the witness of God Himself who gave us the Scriptures and has preserved them down through the centuries as a witness of the truth that we might be made “wise unto salvation through faith which is in Christ Jesus” (2 Tim. 3:15; cf. Matt. 5:18; 24:14). Yes, the Scriptures reveal the holy will of God and our utter failure to live up to His law, but the same Scriptures assure us that “We have an advocate with the Father, Jesus Christ the righteous: and he is the propitiation for our sins: and not for ours only, but also for the sins of the whole world” (1 John 2:1,2). The Scriptures assure all of us who believe that God “hath made us accepted in the beloved. In whom we have redemption through his blood, the forgiveness of sins, according to the riches of his grace” (Ephesians 1:6,7). We would do well to pay heed to the Scriptures “as unto a light that shineth in a dark place, until the day dawn, and the day star arise in your hearts.” When we read our Bibles, attend church where the Scriptures are faithfully taught and listen carefully to God’s inspired Word, the Scriptures are like a light shining in a dark place – they reveal to us Jesus, God’s Son and our Savior, the Light of the world. Again, the Scriptures themselves say: “The entrance of thy words giveth light; it giveth understanding unto the simple” (Psalm 119:130). Through the hearing of God’s Word, God shines into our hearts and reveals our sins but also reveals to us Jesus and salvation through faith in Him and His atoning sacrifice. And so, unlike other religions and faiths, our faith rests upon the witness of many chosen apostles and prophets recorded for us by inspiration of the Holy Spirit in the Bible. It rests upon the witness of God Himself, recorded for us in His inspired Scriptures. God’s Word shines like a light into a dark place – it shines into our hearts to reveal to us our sinfulness and our just punishment, but it also reveals to us Christ Jesus and the salvation God provided for us through faith in His name! It tells us that through faith in Christ Jesus we have forgiveness for all our sins and a lively hope – the everlasting joys of heaven – because Jesus shed His holy and precious blood to redeem us and make us His own and is risen again in victory (cf. 1 Peter 1:3-9, 18-19). God grant that the light of His Word shine in our hearts and reveal to us Christ Jesus and salvation through faith in Him. Amen.